You are different. You are needed. You are excellent. You are intentional. FullCircle is a part of Onward Church in Wichita. Onward is a church plant ministry that is all about meeting the needs of Northeast Wichita in new unique and nontraditional ways. 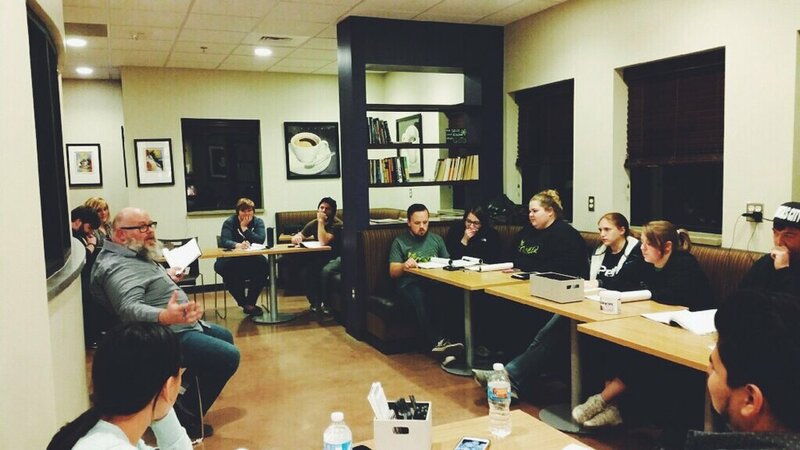 As a part of FullCircle, students will experience the exciting and challenging aspects of intentional ministry. Kansas is full of counties UNTOUCHED by ministries. We want to do our part to raise up leaders ready to run with God’s vision and calling to make Kansas one of the easiest places for people to experience God’s love. Pastors | Do you have a leader CALLED for ministry? Students | Is God giving YOU vision for something great? GET MORE INFO & CLICK HERE! Contact us with the form below and we will send you more information, walk you through the application & interview process or schedule a visit! The FullCircle campus is located just 15 minutes east of Wichita, KS. We partner with and operate on the Wheat State Retreat Center & Campgrounds. Our classrooms, offices and homes are all walking distance from one another to eliminate daily commute. We look forward to helping you learn more about FullCircle. Learn more about our Leadership School for the Called! DO SOMETHING DIFFERENT. BE A PIONEER.